Mass Molestation In Bengaluru On New Year's Eve... Why? 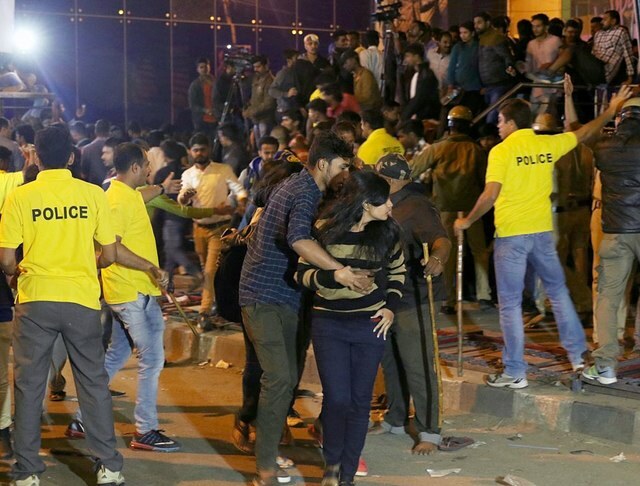 Mass Molestation In Bengaluru On New Year’s Eve… Why? Bengaluru is a beautiful city with friendly citizens. But this new year eve faced a case of mass molestation of women by drunkard and other men, which till now was completely unheard of. We have heard of such incidents in Cologne, Germany, Norway and other countries by never in India – so really shocking. What came next was just as troubling. Karnataka’s home minister said such incidents were ‘regular’ and that women should not have been out on the street in the first place. He also implied that the women invited sexual assault as they were copying westerners in all ways. Abu Azmi of Samajwadi party said these things happened as the women deviated form Indian culture. So far no FIRs has been filed, and media also did not come out as strongly as possible again these irresponsible statements. Instead of such irresponsible statements, the state’s home minister and police need to fully investigate the criminal act and punish all the perpetrators.